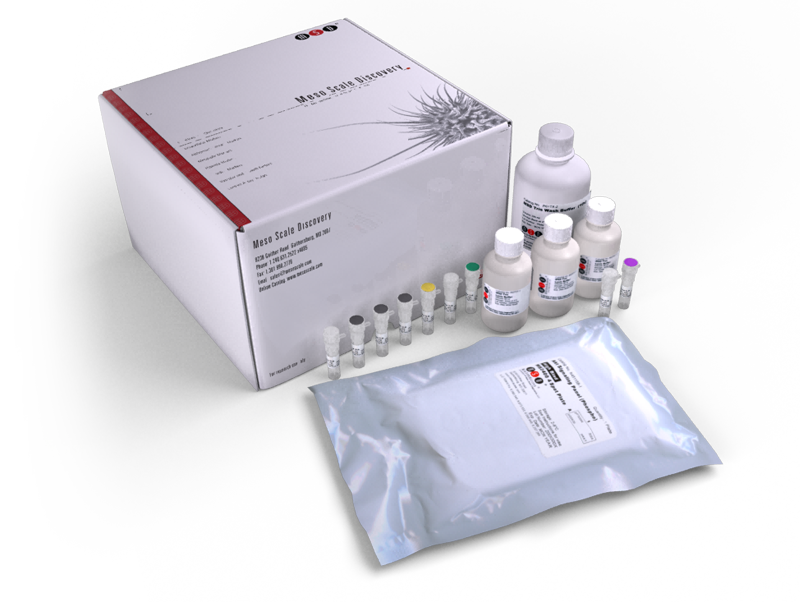 The Acute Phase Protein Panel 1 (rat) provides assay-specific components for the quantitative determination of both natural and recombinant rat α2-macroglobin (A2M) and α1-acid glycoprotein (AGP) in serum, plasma, and tissue culture supernatant. A2M is a major protease inhibitor produced by hepatocytes that is induced in acute and chronic inflammatory injury. AGP is involved in the acute phase response and may be indicative of liver hypertrophy as well as local and general inflammation. Both AGP and A2M are abundant in serum and can increase by several hundred folds following an inflammatory response.